New Construction Attached Ranch Villas! The Randolph is a stunning one-story home featuring 2,389 sq. ft of low maintenance living at its finest! With a full basement and 3 car garage, bring all your things...you&apos;ll find room for it all. This home offers three bedrooms and 2.5 baths including a private master suite with coffer ceiling, soaker tub, double sinks, and shower. Other highly sought after features include abundant storage, an oversized laundry room, and separate study area. The great room in this home showcases a fireplace and opens flawlessly into the Gourmet kitchen with island which is perfect for entertaining. 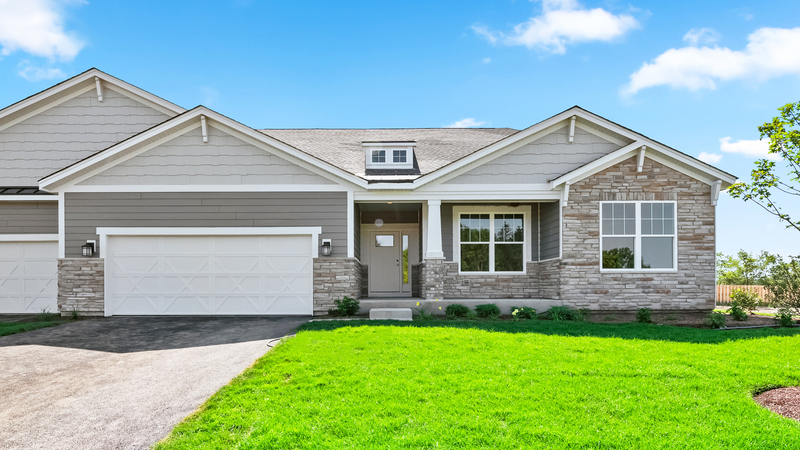 This home is currently under construction with an estimated June 2019 completion.